After fifteen months of preparation, it was a wonderful day. The forecasters’ feverish predictions of snow did not pan out, and the weather was crisp and clear. All the logistics (caterer, sound system, flowers etc.) went smoothly. There was a great turnout of about 120 temple regulars and friends from various parts of my life. Like at a wedding, one of the fun things was seeing people connect who knew each other from elsewhere but didn’t realize they also both knew me. The service itself went well. I had a couple of minor flubs — I blanked out on the blessing for the tallit, and then I lost my place once during the Torah reading when I distracted myself by turning to greet the people doing blessings. But other than those bits, things went smoothly. The most stressful part was the Hebrew chanting; after I was done with that, giving my d’var Torah in English felt like a pina colada by the pool. My favorite moments were the d’var Torah and carrying the Torah scroll around the room while people reached out to kiss it with their prayerbooks or tallit. It was fun to be able to greet everyone that way, and to know that, at that point at least, all I had to do was put my feet in front of each other and not fall down. Easier than chanting. Rabbi Chester said the most warm and gratifying things, both publicly at the bima and then during the private moment when he blesses the bat/bar mitzvah while the cantor sings. I’ve sat through many 13-year-old b’nei mitzvah services, including my daughter’s, and always itched with curiosity about what the rabbi was telling them. Now I know… he’s giving them the winning lottery numbers for the coming week! Seriously, the part of his blessing that was most meaningful to me was when he said that if I were 40 years old rather than in my 50s, he would be pushing me to go to rabbinical school. It isn’t a career I ever considered, but it felt like ultimate praise coming from him, as well as a recognition of my commitment to Judaism. When he got to delivering the Hebrew part of the blessing, I bowed my head and he told me (I forget his exact words here) to picture the blessing that I need, and to envision myself in that state. People really liked my d’var Torah. I’m going to post it on the blog in a separate entry, directly after this one. You can access it by clicking here. When writing it, I felt a strong urge to write a credo, or some overarching declaration of What Ilana Believes about life, God, Judaism, ethics, West Bank settlements, women’s rights, whatever. I opted to resist that urge and just focus on the Torah portion, which I believe in retrospect was the correct decision. After the service, we had a delicious lunch catered by Temple Sinai member David Darwish, with desserts baked by my chavurah. That evening, my brother and sister-in-law hosted a small dinner with a cake by the amazing Paul and Marcia Masse, of Masse’s Pastries in Berkeley (who also happen to be former Julia Morgan School for Girls parents). 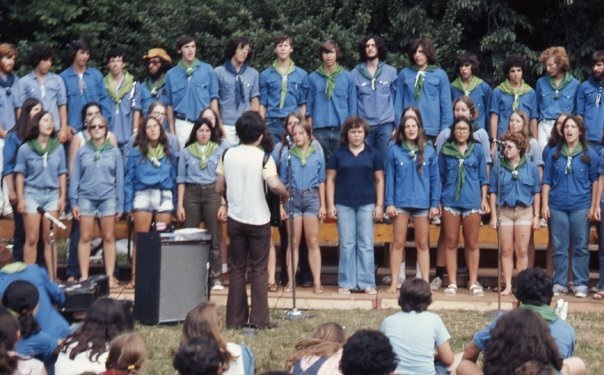 I had given the Masses a photograph of my poppy-embellished tallit, as well as some pictures of the blue chultza shomrit (shirt) we wore in Hashomer Hatzair, the youth movement that was really the start of my Jewish identity. So the cake imagery represents my Jewish path, from teenage years through becoming a Bat Mitzvah. The Masses did an awesome job. Now, the day after, I feel mostly tired and relieved that all this organizing is over. I am so happy that my group of adult b’not mitzvah is continuing to meet and study — that this was not the end of the process. I’m also looking forward to chanting Torah at other services in the future. That feels like the best of both worlds — the challenge/honor of reading Torah, but without having all the to-do of party planning. Don’t get me wrong — the party aspect of this certainly was fun. And it was nice to bask in the appreciation and congratulations of my community, especially at a time when I’m accumulating rejection notes from literary agents and not making much headway in figuring out a new career. Actually, it was more than nice. It was wonderfully affirming to feel such support at a time when other spheres of life are challenging. But still, I look forward to chanting Torah in the future without a party. Just as part of a congregation. What is the real story of Chanukah? Okay, we know it’s not the “Jewish Christmas.” And we know that historically it’s been a relatively minor event in the Jewish calendar – a poor step-sister to holidays such as Yom Kippur, Sukkot and Passover. The miraculous Chanukah. This is the version that most kids are taught in Hebrew school: We are celebrating God’s miracle of making a single day’s worth of oil burn for eight days after the Temple in Jerusalem was reclaimed from desecration. The hero of this story is God, and the message is that we should pray and thank God for magically, supernaturally, like Superman, flying in and saving the day. The freedom-of-religion Chanukah. This version, I suspect, is the most common one among mainstream American Jews. We are celebrating the Maccabees’ successful battle for the right to worship as they chose. 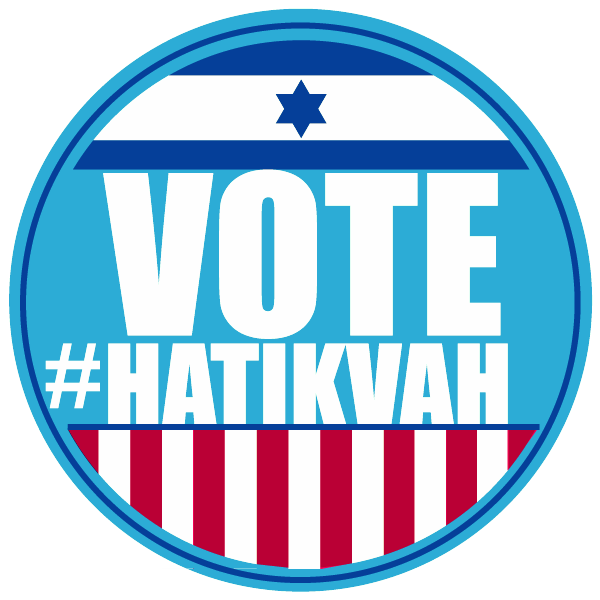 The protagonists of this story are Judah Maccabee and his compatriots – but the unspoken hero is American democracy and the freedom it gives us to live openly as Jews. Think: Maccabees-as-card-carrying-ACLU-members. The national liberation Chanukah. This is the story we told each other in Hashomer Hatzair, the socialist-Zionist youth group I belonged to as a teenager, and I suspect is the most common version in Israel. 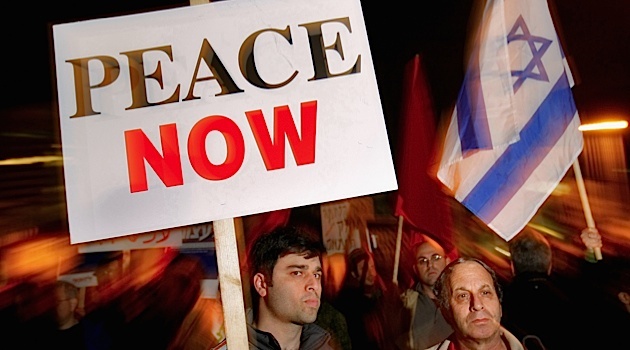 (Hey, Israeli readers, weigh in here!) This version celebrates the successful guerrilla struggle of Judean peasants against the vastly more powerful armies of Hellenized Syria. Here we have Maccabees-as-Viet-Cong, using their intimate knowledge of the land and their roots among the people to rout a foreign occupier. 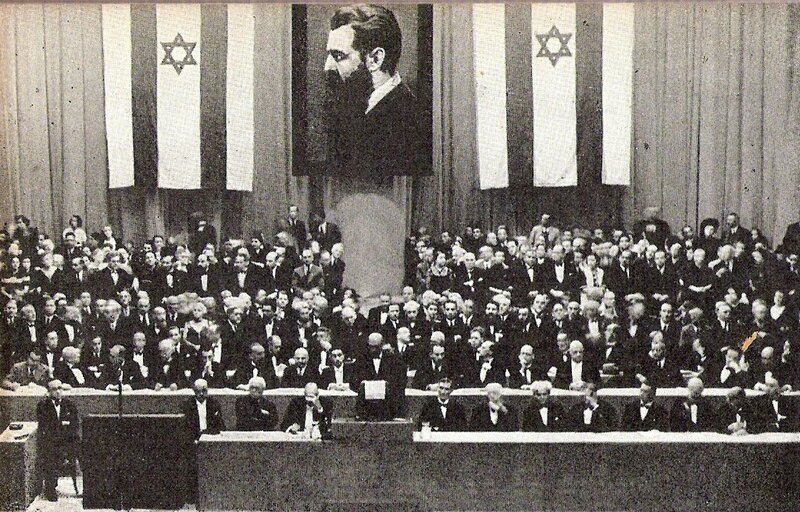 The implicit hero is… Zionism, and its successful effort to create an independent Jewish state. Next up: A reader’s reunion with Howard Fast and My Glorious Brothers. In addition to my sporadic meetings with the rabbi and the cantor, I just started going to a weekly hour-long Hebrew class. I’ve got a – shall we say — complicated relationship with Hebrew. I picked up a bunch of modern Hebrew as a teenager in Hashomer Hatzair and when I worked on a kibbutz for a few months after high school. Then I picked up more modern Hebrew when I lived in Jerusalem briefly in my early 20s and attended an ulpan, an intensive Hebrew class designed for new immigrants. But all of my exposure has been to 20th century conversational Hebrew, not prayer book Hebrew. Here’s an example: When I was studying in the ulpan, my class included a number of Orthodox Jewish immigrants. We were all advanced beginners, but our vocabularies were like night and day. They knew words like angel and holy and blessed. I knew words like cow barn and dining hall and political party. Meanwhile, I’ve never really mastered reading. I can sound out words and recognize all the letters of the Hebrew alphabet, but I never learned the alphabet in order. You know how in preschool we all learned that a-b-c-d song to the tune of “Twinkle twinkle little star”? We never think about it, but that sequencing of letters was a really important chunk of knowledge. It’s a chunk I somehow missed in Hebrew. So I have a devil of a time trying to look up Hebrew words in a dictionary. I sit there feeling like an idiot going, “Resh? Resh? Now where does the letter resh come in the alphabet? Is it before or after samech? How much after samech?” It takes me about two minutes of fumbling around just to find the right page. Then it takes me another minute to locate the word somewhere on that page. I also constantly transliterate in my head. When I think of a Hebrew word, I don’t picture it with Hebrew letters. I picture it as we would write its sounds in English. 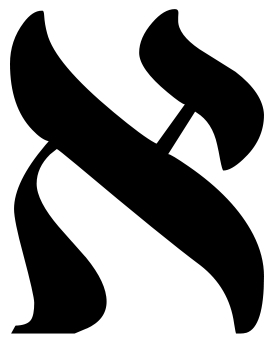 So when I think “ani” (Hebrew for “I”), I don’t visualize aleph-nun-yud. I visualize a-n-i. My brain is a word processing program that doesn’t have a Hebrew font. And it’s been like that for 30-plus years. So on the one hand, I’m almost fluent in some basic Hebrew conversational phrases: There are words and sentences that pop into my head at random moments even though I haven’t used them in 25 years. And at the same time I’m less familiar with the Hebrew alphabet than an Israeli four-year-old. Luckily the class I joined is focused on my area of deficit – reading the prayer book and Torah. With only three other students, it’s small enough to be pretty flexible. And the teacher, Temple Sinai‘s award-winning educator Ophira Druch, seems willing to accommodate my spotty background. Coming next: Why Hebrew appeals to my geometric mind. It’s become a standard part of this decade’s social landscape, like singles bars in the 1970s or email in the ’90s — the retrieval of old friends through Facebook. I’ve done these searches as much as anyone, especially during the past year in which I’ve been working on novels. It’s a great way to procrastinate or distract oneself from actually writing. There have been some wonderful “finds” where I reconnected with an old friend, or forged a new tie that was in fact deeper and more interesting than the original friendship. Take Craig A.: We sat next to each other in 3rd grade. He used to tease me by opening the encyclopedia to a glossy color page of photographs of parasites. (Ewww! Gross!) In return I would threaten to kiss him, which was the only thing that could gross him out enough to get him to turn the page. That’s almost all that I remembered from our elementary school days. But he friended me on Facebook. And he turns out to be a witty and intelligent Facebook post-er, as well as someone who actually remembers stuff I write months after I’ve written it. We met for coffee earlier this year when I was in New York for a family visit. Now he feels like an actual friend, much more engaging than my memories of him. But then there’s the other side to this. About a month ago, during one of my fits of procrastination, I did a Facebook search for a boy who was the total summit/pinnacle/personification of High School Crush for me. I worshipped this boy. I lusted after this boy. I would have cut off my right hand (metaphorically of course) for this boy’s romantic attention. He was unkempt and idealistic, prankster and philosopher — my white knight, Prince Charming, Aragorn, Darcy, Bobby Sherman, Bobby Dylan all rolled into one. You get the idea; you had one too. Except for the quiet feeling of loss that has remained with me. My memory had placed a numinous halo around this person. It was not so much that he was special, but my feelings about him were special. Remembering him would take me back to a moment of mystery and magic, when I believed that someone else had the power to completely transform my life. When a single casual and unthinking gesture might send me soaring for the rest of the day or crashing into journal-writing despair. There was magic in his grin, in his sweaty smell after running track, his philosophical rants while waving a whole-wheat sandwich in the air in the cafeteria. I never knew what happened to him after high school, so there was the possibility that this magic was still out there somewhere, ennobling some little corner of the world. And now I have learned that he is a CPA with a minivan. And that I can exchange 50-word autobiographies with him and the earth doesn’t move, the sky doesn’t open, I just click my mouse and move on to other emails about plumbers or parent-teacher conferences. As a teenager, I belonged to a Zionist youth group that was a deep, wonderful, life-shaping experience – the root of my progressive politics and Jewish identity, the venue for my first romantic adventures, source of some of my closest teenage friendships. But it was also a peculiar subculture, a kind of science-fiction Valley That Time Forgot. In the middle of 1970s New York City, we were modeling ourselves after 1920s pioneers in Palestine. We pledged not to smoke, do drugs, or drink alcohol. We learned how to milk cows. (Well, some of us did. Guess who didn’t.) While the rest of the world was doing disco with John Travolta, we were having long, intense discussions about which was more important to us: Zionism or socialism? As an adult, I lost complete touch with nearly everyone associated with the group, Hashomer Hatzair. And my experiences there took on the same halo as Mr. High School Crush. It felt like my own Chelm or Macondo, an insular, magical village where the rules of the rest of the world didn’t apply. I occasionally imagined a coming-of-age novel set there – one that would evoke a sense of a lost world apart and out of time. And then something unexpected happened. An old Hashomer acquaintance set up a Yahoo Group for alumni of the organization. People joined and started posting notes on a daily basis about Middle Eastern politics, youth group memories, dumb Internet jokes, music, soccer, family, you name it. I started reading posts from people I hadn’t thought about – much less communicated with – in years. And the group morphed from being a glowing, mythical memory into a part of real life. Rather than floating above the earth, it grew legs and feet. It was staked to the ground with a hundred wires held by a hundred different people posting on the Yahoo Group. It was no longer a creature of my imagination. The visceral urge to write about it – to recreate it, or figure out its meaning, on paper – faded. Sure, I can still incorporate it in a story or novel, just as I can write about the letter carrier on our street or the woman who teaches my exercise class. But it doesn’t have that same glow. That same pull. I suspect Proust would not have felt as driven to write about his childhood if he were exhanging daily Facebook status updates and madeleine recipes with his Aunt Leonie. So yes, certainly, things are gained from our era’s signature game of Internet hide-and-go-seek. It’s nice to know how people’s lives unfurl. It gives a sense of closure and dramatic fulfillment to learn that the cheerleader became a consul or the goof became a lawyer. But things are also lost – the halo around Mr. High School Crush, the bittersweet sense of my own private Chelm. It’s possible to have too much information. When you know what happens in the end, there is less drive to invent your own endings. When the past gets anchored down to the present, it loses its airy magic. So maybe it’s unexpectedly good news that some people – unlike my friend Craig, unlike Mr. High School Crush – still remain unfindable. Unfriendable. UnGoogleable. They’re off who-knows-where, living happy, brilliant, electronically-undocumented lives as nomadic sheepherders or housewives or air conditioning technicians. I’m very happy they’re still out there, lost somewhere beyond my reach.